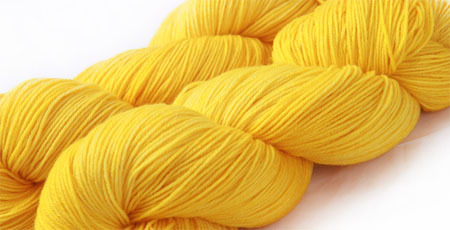 Winding is the process of transferring yarn or thread from one type of package to another to facilitate subsequent processing. 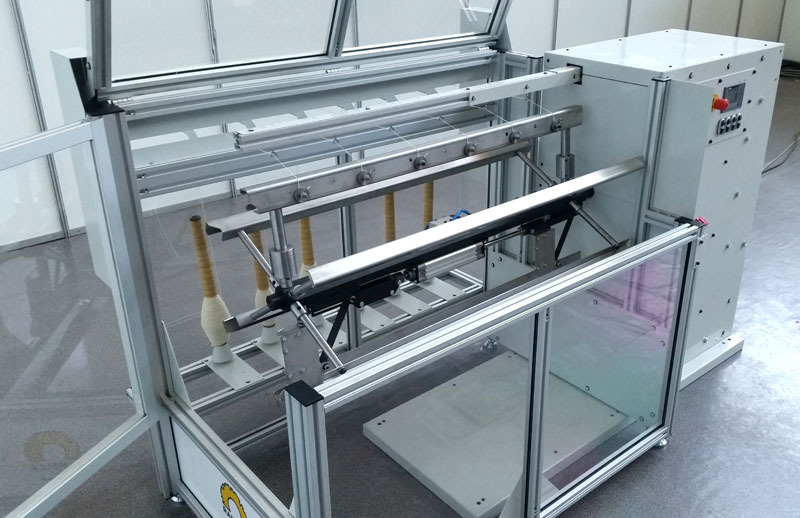 Not only must the package and the yarn itself be suitable for processing on the next machine in the production process, but also other factors such as packing cases, pressure due to winding tension, etc., must be considered. 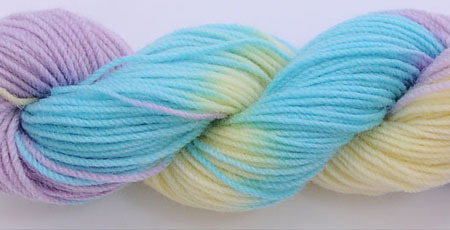 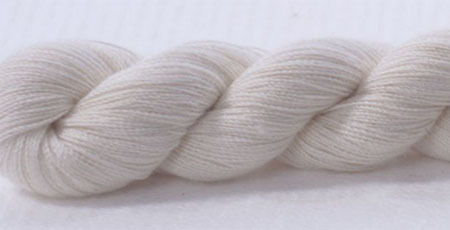 The skein is one of the form in which the yarn is put up for sale or for a future process. 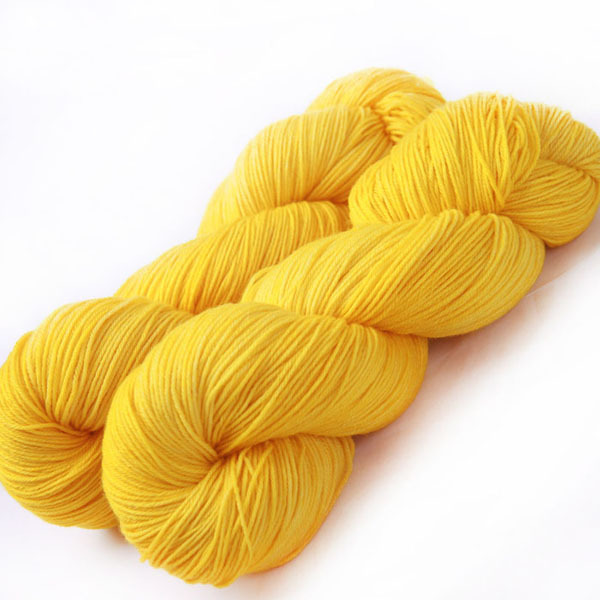 The skein is made by a process of reeling and the word indicates a continuous coil of yarn that has been wound around a revolving frame of a known circumference. 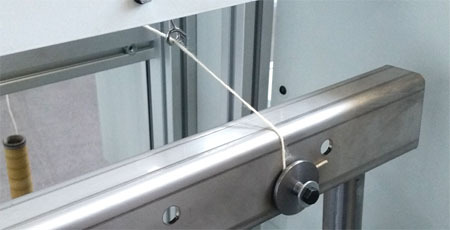 It is tied around at one or more points in its circumference, so that when removed from the frame on which it is made it forms a loose coil that may be handled without damage. 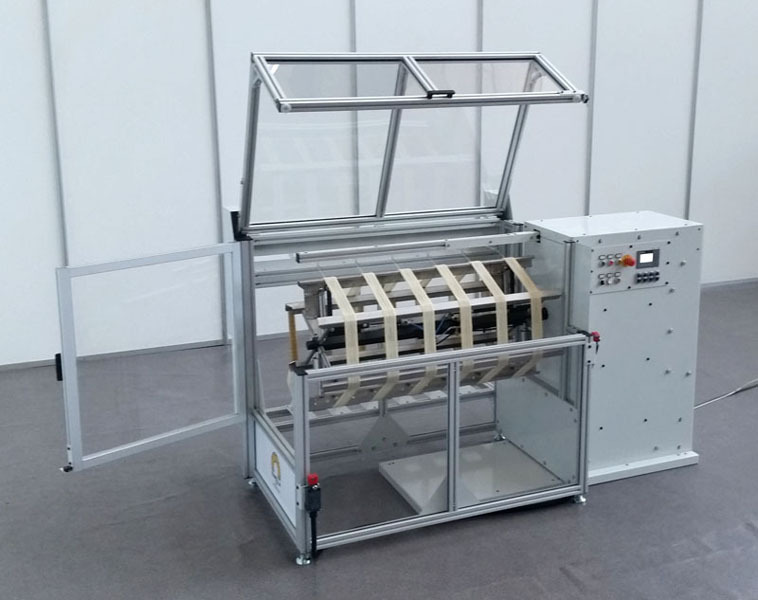 The line Ramella for minimills also includes the skein winder with automatic opening and closing and the electronic control of the length of yarn wound. 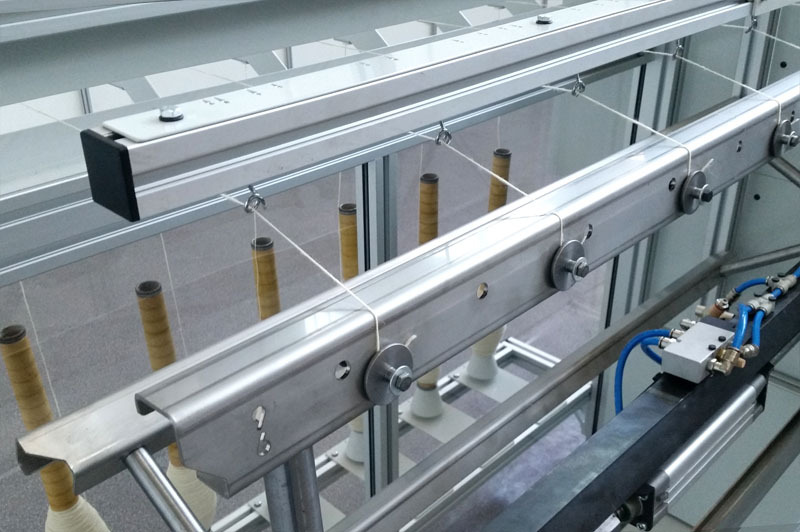 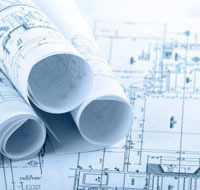 The tubes or the bobbins are positioned in the rear part of the machinery, the yarn passes through the tensioner and the movable thread guide and then it is connected to the rotating structure. 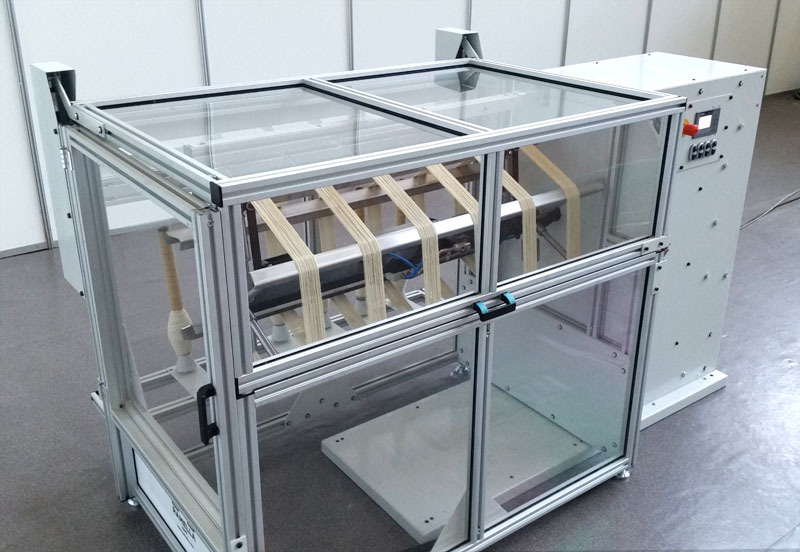 After setting the desired length and pressed the start button the skein winder will automatically wind the desired amount of yarn. 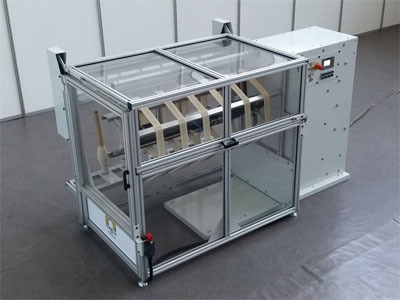 During the final stages, the skein winder will slow down and, once the length of the yarn is reached, the rotating structure will contract automatically to allow you to extract quickly the hanks. 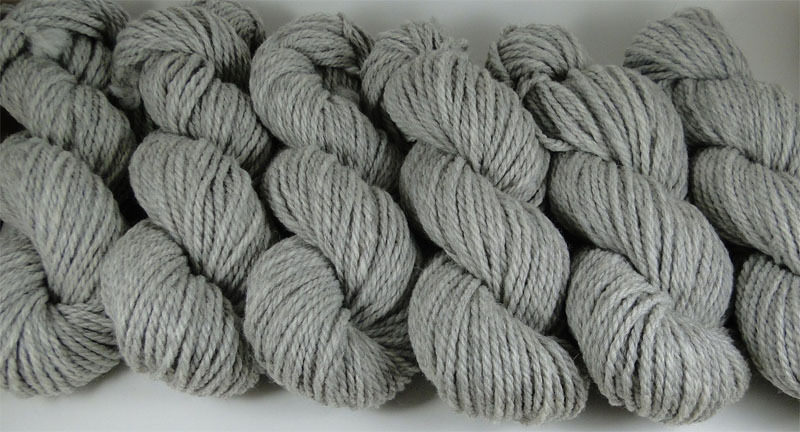 The main part of the skein winder is certainly the central rotating structure. 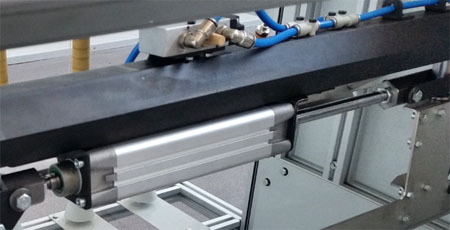 In reeling machines Ramella this hexagon has a development of 1.8m (70") and is formed by a steel shaft on which are mounted spacer bars. 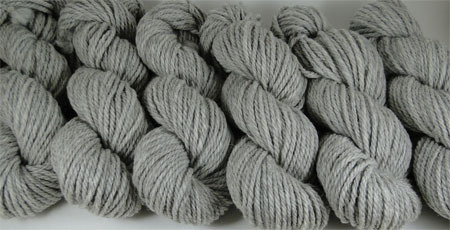 To avoid friction or color transfer the 6 bars on which the yarn is wound are made of stainless steel (no painting and easily washable). 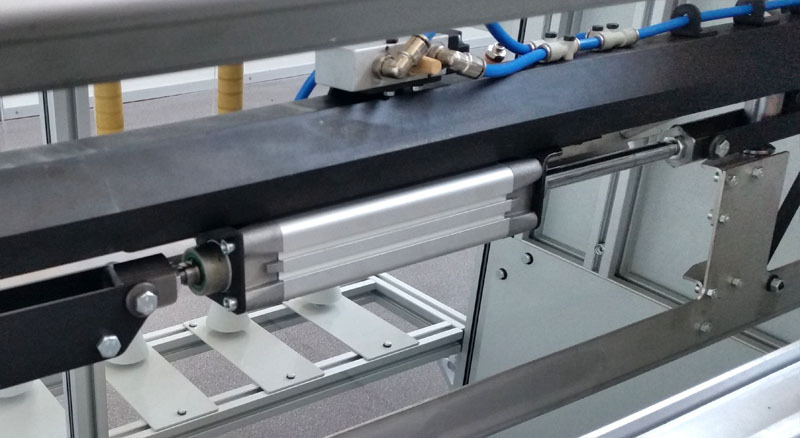 The opening and closing of the hexagon is actuated by a pneumatic cylinder and does not require any manual intervention. 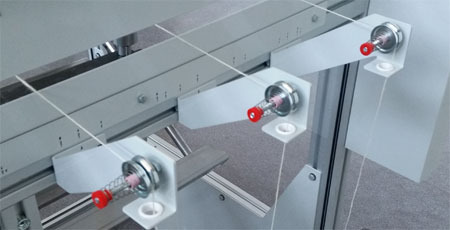 There are also spring devices which allow you to quickly connect the yarn to the frame. 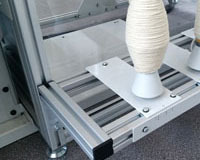 To evenly distribute the yarn on the rotating structure the skein winder is equipped with a mobile thread guide. 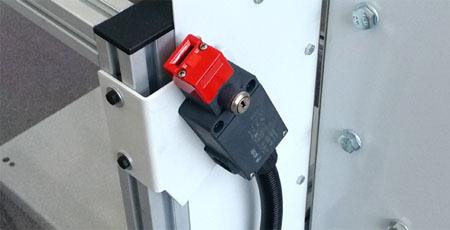 This device is driven by an independent motor controlled by an inverter. 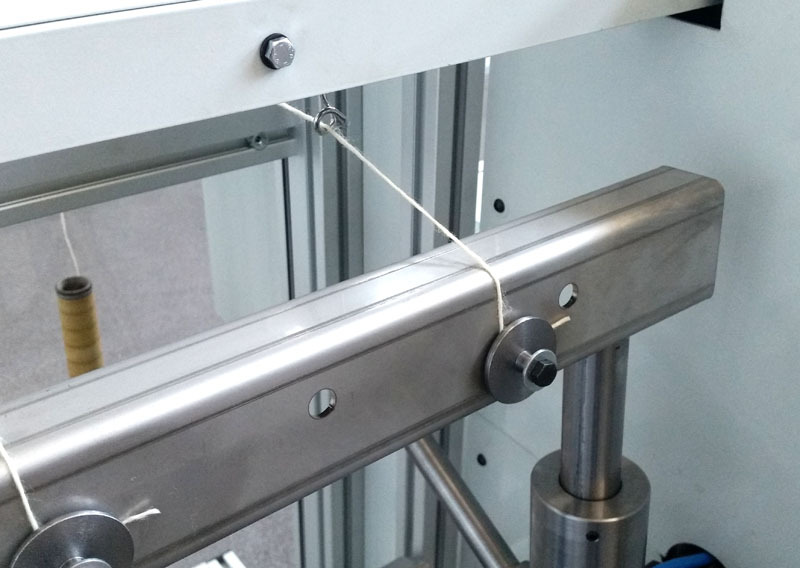 Both the width and the speed of movement of this thread guide can be easily modified by acting on a potentiometer and on the control wheel. 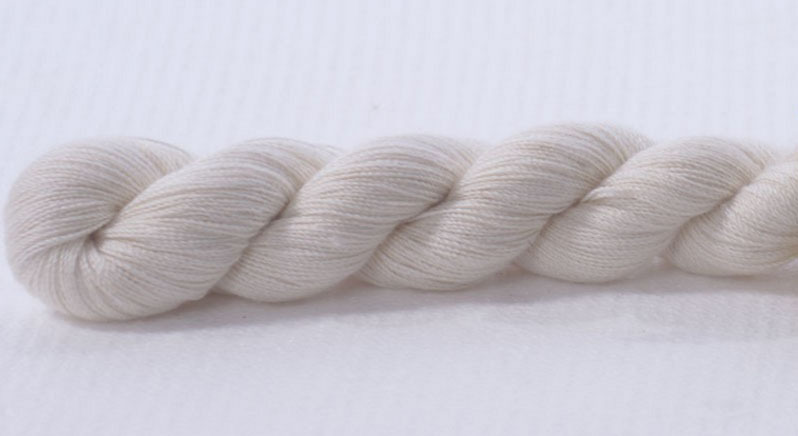 On the thread guide, there is a handy indicator that allows moving the various elements so as to vary the number of yarns wound simultaneously (up to 9). 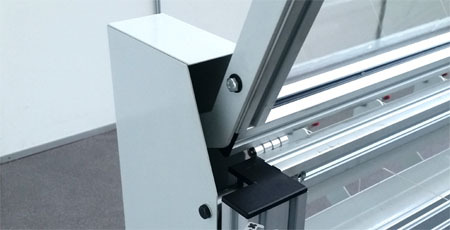 The rotating structure is protected by a transparent cover with a double opening. 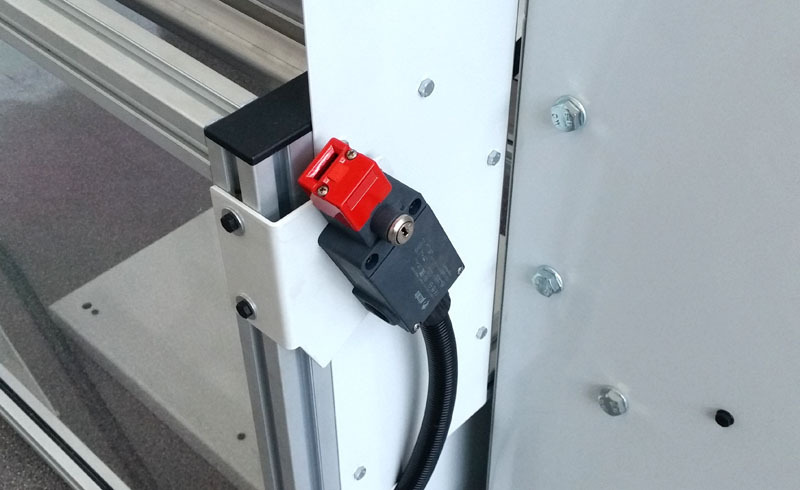 This protection follows current safety standards and both the doors are locked by a safety switch. 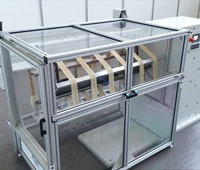 To facilitate lifting the top cover is connected to two air springs which reduce the force required for movement. 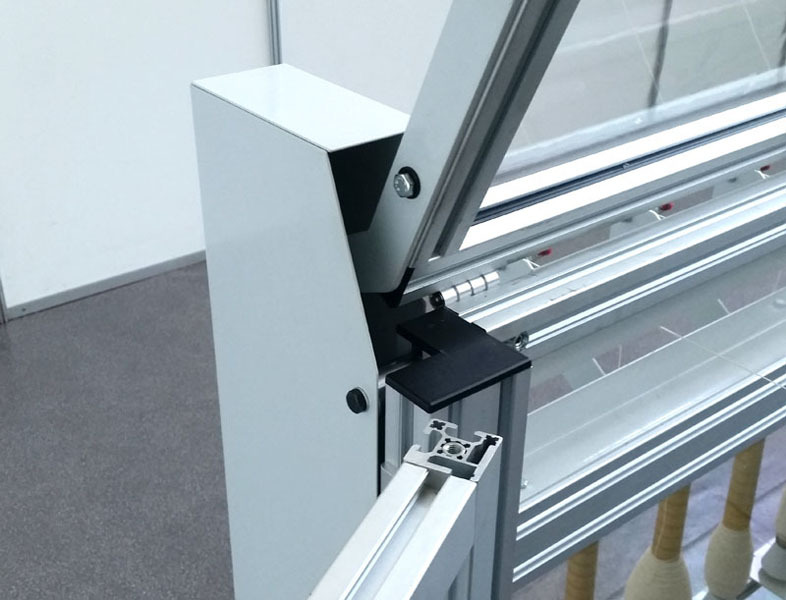 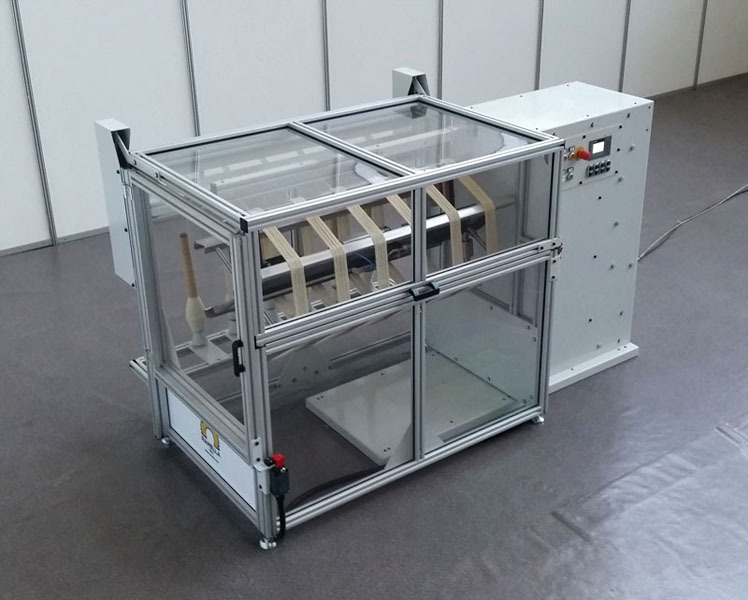 Like other machines Ramella the protective structure is made of aluminum with large transparent windows in order to have always under control the process. 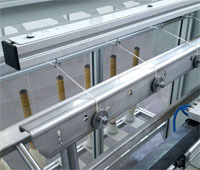 On the rear side of the skein winder there is a structure on which you place the tubes or cones. 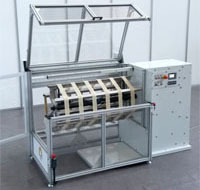 This creel is movable in height and is equipped with adjustable spring connectors that allow to insert cones or tubes of any size. 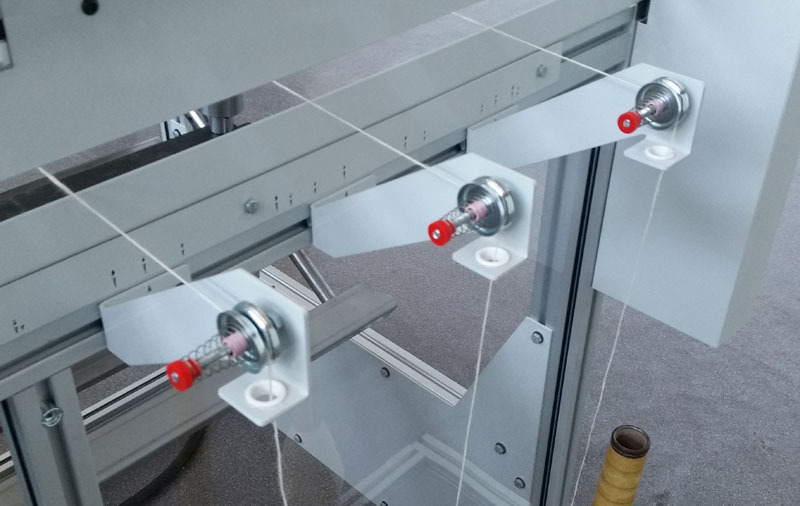 At the top of the structure there is a ceramic ring and a spring tensioner that adjusts the tension of yarn wound. 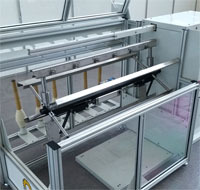 The length of yarn wound is controlled through an electronic sensor that automatically slows down the speed of the winder during the last meters of the process. 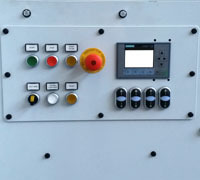 On the front side of the machine is placed a display with the main functions. 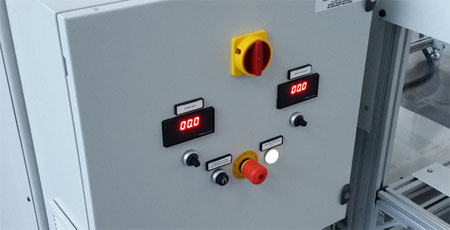 The operation is very intuitive and with 4 buttons you can vary the length of yarn wound. 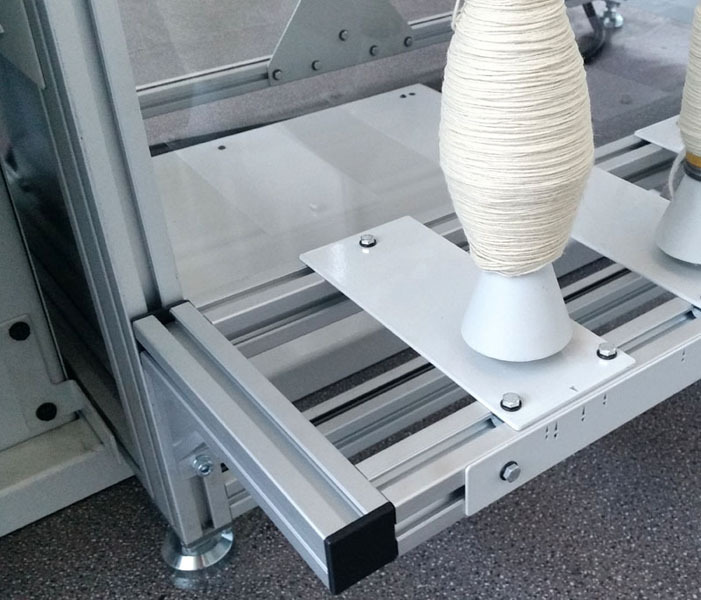 The skein winder can measure the yarn both in meters or yards. 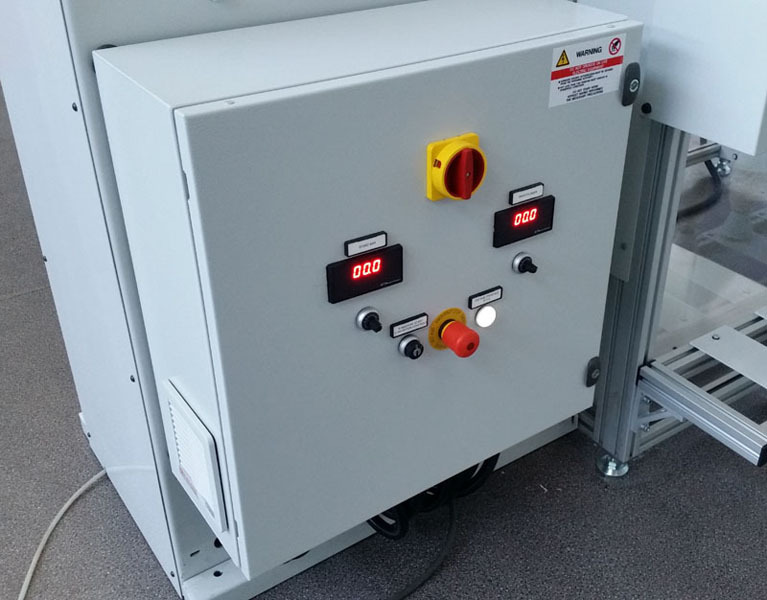 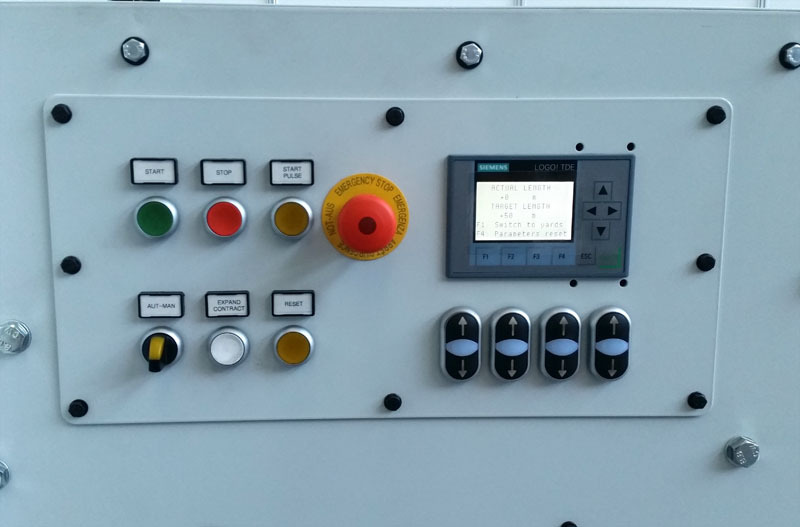 On the front panel there are also the basic control buttons and on the rear electric panel you can find the potentiometers to control the rotating speed.